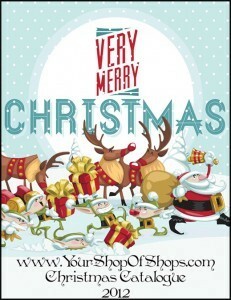 Our Zazzle Store’s Very, Merry Christmas Catalog! ‘Tis the season in our Zazzle store, Your Shop of Shops, and we’re happy to announce our second annual Christmas Catalog! Filled with wonderful options for individual or boxed Christmas cards, address labels and postage, Christmas tree ornaments, and exciting new gift items, Very, Merry Christmas is a great shopping option. You can select from Pete’s designs or use our store as a jumping off point to the hundreds of thousands of Zazzle items other designers have created. Amazing delivery turnaround, too! Many items ship within a day! This year, Pete has boosted the number of products in Your Shop of Shops to over 50,000! Very, Merry Christmas is only a small representation of what is available. Zazzle has extended its production capabilities in so many areas, too. Choose from all kinds of smartphone cases – even iPhone 5!, tablet and laptop skins, computer and accessory bags, ceramic kitchen and dishware, gifts for baby and much, much more! Zazzle has been a great partner in helping us make money online and achieve our location independence and income goals. If you would like to learn how to get started with Zazzle, or how to more quickly scale your Zazzle store’s product offerings, you’ll want to check out Pete’s e-books in the sidebar at right. And as always, thank you for your trust and for supporting Your Shop of Shops. […] Our Zazzle Store’s Very, Merry Christmas Catalog!